Two Polish companies were involved in dispute regarding invalidation of a patent right. During the proceedings before the Polish Patent Office, one of the parties provided evidence that included internal documents and secret materials of the other party. The company filed a civil court action claiming unfair competition delict/tort. The Appeallate Court in Warsaw in its judgment of 13 May 2014 case file VI ACa 1478/13 ruled that patent invalidation proceedings, like any other litigation between entrepreneurs – even if it is connected with the economic activity of such entities, cannot be regarded as performing or conducting economic/business activities. This results in a lack of responsibility of the party of the proceedings before the Patent Office in respect of an act of unfair competition, even if in the course of that proceedings such party conducted activities that would normally be deemed as acts of unfair competition. Categories: Art. 18 CUC | Art. 3(1) CUC | Polish Act on Combating Unfair Competition | Polish Appeallate Court | Polish courts | Polish District Court | Polish institutions | Polish law | Polish Patent Office | unfair competition delict | unnamed delict. The Supreme Court in its judgment of 21 October 2010 case file IV CSK 231/10 held that the combination of colors may serve as a trademark. However, the entrepreneur entitled to the right of protection cannot prohibit the use of one of such colors that is used by another entrepreneur in its trade mark. Judge Wojciech Katner stated that the single color cannot be a trademark. In this case, the object of protection was a combinations of two colors. The right or protection to the figurative trade mark R-115856 was granted to the BP P.L.C. by the Polish Patent Office based on the provisions of Article 120(2) of the Polish Act of 30 June 2000 on Industrial Property Law – IPL – (in Polish: ustawa Prawo własności przemysłowej) of 30 June 2000, published in Journal of Laws (Dziennik Ustaw) of 2001 No 49, item 508, consolidated text on 13 June 2003, Journal of Laws (Dziennik Ustaw) No 119, item 1117, with subsequent amendments. 1. Any sign capable of being represented graphically may be considered as trademark, provided that such signs are capable of distinguishing the goods of one undertaking from those of other undertakings. 2. The following, in particular, may be considered as trademarks within the meaning of paragraph (1): words, designs, ornaments, combinations of colours, the three-dimensional shape of goods or of their packaging, as well as melodies or other acoustic signals. The trade mark infringement occurs when the proportions and the use of a given color by another entrepreneur will not allow for distinguishing of trade marks. Sending the case back for reconsideration the Court stated that the judgment of the court of the second instance should be clarified so that the dominance of the green color, would not suggest that this was British Petroleum fuel station. The Court agreed with the defendant that one cannot monopolize the colors, and only some are valuable on the fuels market. The Court held that although different entrepreneurs use the same color to designate their stations, it will not lead to consumers confusion because of the layout, and even a shade of these color. The Court noted that a reputable sign serves not only as the carrier of information about the origin of goods (services). It also provides some important information that may relate to the quality of goods (services), as well as the reputation of the owner of that trade mark or to its activities. Reputed Mark is a sign known, recognizable to a greater extent than usual signs, which does not mean that it must be known widely. Such recognition is provided precisely by these values that the character embodies, so for example, prestige, reputation, uniqueness, high quality. The reputation is not a simple consequence of the distribution of the mark, but it a notion settled in the minds of buyers (customers) about the qualities of goods (services), the prestige of the trade mark or other values. See also “Trade mark law, case IV CSK 61/09“. Categories: Art. 10 CUC | Art. 120(2) IPL | Art. 5 CUC | non-traditional trade marks | Polish Act on Combating Unfair Competition | Polish Act on Industrial Property Law | Polish courts | Polish Supreme Court | single colour | trade mark infringement | trademark law | unfair competition delict | unfair competition law. The Polish company INTERKOBO Sp. z o.o. filed a request for the invalidation of the right of protection for the trade mark kucyk pony R-139097 that was registered for HASBRO POLAND Sp. z o.o. Kucyk means “pony” in Polish language. INTERKOBO argued that it has the legitimate interest in the invalidation proceedings because it is a manufacturer of toys, and it offers products such as toy ponies. In addition, in the cease and desist letter dated on 24 April 2007, HASBRO called INTERKOBO to stop the infringement of the right of protection for trade mark “kucyk pony” R-139097 which consisted of using by the INTERKOBO of “Princes’ s Pony” sign for designation of ponies’ toys. INTERKOBO argued also that HASBRO restricts the freedom of economic activity of its competitors, asking them to stop marketing of toys in the form of a small pony and requesting destruction of such products. By registering of the trade mark in question HASBRO had the intention of its use in isolation from the goods for which it was registered, and the intention of closing the access to the market for its competitors, the more that HASBRO as a professional market player should knew or should have known that the term “kucyk pony” as used for the toys in the form of a pony does not have any sufficient distinctiveness. INTERKOBO stressed that HASBRO Sp. z o.o. is a part of capital group operating on the global toys market, which is the position that allows it to dominate the market for local manufacturers of toys and contrary to the scope of the use made of registration to combat competition, which is contrary to the principles of the social coexistence. HASBRO claimed that its sign is used on the Polish market, on the packaging of “kucyk pony” toys and other materials, since 1998 and is the subject of a number of marketing activities, and the brand “kucyk pony” includes not only toys, but also videos and a monthly magazine for children. HASBRO argued that its trade mark has a strong distinctive character and can be regarded as a reputable one, in relation to the goods it designates it has the so-called primary distinctive character. The Polish Patent Office dismissed the request. INTERKOBO filed a complaint against PPO’s decision. The Voivodeship Administrative Court in Warsaw in its judgment of 24 June 2010 case file VI SA/Wa 203/10 affirmed this decision and dismissed the case. The VAC held that the trade mark in question is is a fanciful sign and has the primary distinctive character. It is not a generic name of any of the listed goods, and it does not inform about their properties. Pony (in Polish: kucyk) is the generic name of the horse species while it is not the name of the goods protected by the trade mark, which goods do not have any direct connection with any species of horses. Categories: Art. 107 §3 APC | Art. 164 IPL | Art. 20 Constitution | Art. 22 Constitution | Art. 315 IPL | Art. 4 TMA | Art. 7 APC | Art. 7(1) TMA | Art. 7(2) TMA | Art. 77 APC | Art. 8(1) TMA | Art. 80 APC | distinctive character | generic sign | genuine use | knock-offs | legal interest | look-alikes | parasitic copying | parasitic imitation | slavish imitation | trade mark invalidation | Voivodeship Administrative Court. Polish company Technopol sp. z o.o. succeeded to register in the Polish Patent Office over a hundred word and word-figurative trade marks in the form of Arabic numeral “100” and its multiples (200, 300, etc.) together with the word “Panoramicznych” or “Panoram”. Technopol was sued by another Polish entrepreneur, Roman Oraczewski who publishes crossword magazines under such titles as “222 Panoramiczne”, “333 Panoramiczne”, “500 Krzyżówek”, “300 Krzyżówek z Uśmiechem”, “300 Krzyżówek Panorama Rozrywki”. Mr Oraczewski claimed protection to its press titles and Technopol filed counter claims based on Article 10 of the Polish Act of 16 April 1993 on Combating Unfair Competition – CUC – (in Polish: ustawa o zwalczaniu nieuczciwej konkurencji), published in Journal of Laws (Dziennik Ustaw) No. 47, item 211, with subsequent amendments. Article 10.1. Such indication of products or services or its lack, which may mislead customers in relation to the origin, quantity, quality, components, manufacturing process, usefulness, possible application, repair, maintenance and another significant features of products or services as well as concealing the risks connected with their use, shall be the act of unfair competition. 2. Releasing for free circulation products in the packing which may cause effects referred to in section 1 above shall be the act of unfair competition, unless the use of such packing is justified by technical reasons. Technopol requested the court to issue preliminary injuction ordering Mr Oraczewski to cease the sale and introduction to the market of all his magazines bearing titles that are identical or similar to Technopol’s trade marks. The Court granted the injunctive relief. Mr. Oraczewski did not agree with such order and after couple of years this case ended in a final dismissal of the application for preliminary injunction. Mr. Oraczewski sued Technopol for the compensation for the loss incurred due to the enforcement of the injunction. He claimed over 67.000.000 PLN loss. According to Article 746 §1 of the Civil Proceedings Code – CPC – (in Polish: Kodeks Postępowania Cywilnego) of 17 November 1964, published in Journal of Laws (Dziennik Ustaw) No. 43, item 296, with subsequent amendments, when a preliminary injunction has been granted and the plaintiff fails to file the principal claim, withdraws it, the claim fails for procedural reasons, or is dismissed as unfounded, the defendant may demand compensation for the loss incurred due to the enforcement of the injunction. The claim expires if it is not pursued within one year from the moment the loss occured. This provision makes a plaintiff who obtained a preliminary injunction but ultimately failed with its principal claim liable towards the defendant for the loss caused by the injunction. The Supreme Court in its judgment of 25 February 2010 case file V CSK 293/09 held that the liability provided under Article 746 § 1 of the CPC is independent of plaintiff’s fault. However, the Court dismissed Mr Oraczewski complaint because he did not follow the preliminary injunction order. See also “Trade mark and Press law, VI SA/Wa 2135/08” and “Trade mark law, case V CSK 71/09“. Categories: Art. 10 CUC | Art. 20 APL | Art. 746 §1 CPC | likelihood of confusion | personal rights or interests | Polish Act on Combating Unfair Competition | Polish Act on Press Law | Polish Civil Proceedings Code | Polish Supreme Court | press title | product packaging | trade mark infringement | trademark law | unfair competition delict | unfair competition law. The District Court in Warsaw in its judgment of 29 August 2007, case file XVI GC 756/06 dismissed the complaint filed by “Euro–net” sp. z o.o. against the judgment of the Court of Conciliation for Internet Domains at the Polish Chamber of Information Technology and Telecommunications of 23 March 2006 case file 22/05/PA in which the Court of Conciliation dismissed the “Euro-net” complaint against Rafał Falęcki in case of infringement of trade mark rights and unfair competition delict/tort concerning eurortv.com.pl domain name. The Appellate Court in Warsaw in its judgment of 16 April 2008 case file I ACa 1334/07 dismissed the appeal, although it also found that some of the allegations included in the complaint proved to be accurate. The Court of Conciliation violated the adversarial rule because it has conducted an investigation of evidence ex officio, by looking on web pages and performing a search for disputed words “euro” and “rtv” in Google. The Court has not made any survey protocol or notes. This was made personally by the arbitrator without a request of both parties, however, the parties have not raised any comment to that evidence. The Court of Conciliation should issue the provision of evidence, indicating the date and place to carry out, so the parties could participate in this investigation. However, the appeal did not contain any allegations as to the veracity of the abovementioned evidence. The court may conduct investigation of evidence ex officio and on its own initiative but it should do it only in situations of an exceptional nature. The Appellate Court did not agree with the “Euro-net” that the circumstances in which the investigation of evidence was conducted required special knowledge, and therefore should be subject to expert opinion. The Court of Conciliation made only a visual overview of the web pages of the plaintiff and the defendant, to which it was not necessary to posses special knowledge in the field of IT. The Appellate Court held that since the issue of the case was the infringement of “Euro-net” rights of protection for trade marks that was allegedly made by Rafał Falęcki in the Internet, therefore the inspection of his websites was sufficient way to determine whether and how the defendant used plaintiff’s trademarks. The expertise is not needed for such action, because a regular Internet user usually does not have such knowledge. It was a regular Internet user who could be mislead, in particular by a risk of associating the domain name with a registered trade marks, as defined in Article 296(2)(ii) of the Polish Act of 30 June 2000 on Industrial Property Law – IPL – (in Polish: ustawa Prawo własności przemysłowej), published in Journal of Laws (Dziennik Ustaw) of 2001 No 49, item 508, consolidated text of 13 June 2003, Journal of Laws (Dziennik Ustaw) No 119, item 1117, with subsequent amendments. However, there were no doubts for the Court that provisions of article 153 of the IPL mean that one cannot infringe the protection rights for a trade mark in the Internet. 1. The right of protection shall confer the exclusive right to use the trademark for profit or for professional purposes throughout the territory of the Republic of Poland. 2. The term of the right of protection shall be 10 years counted from the date of filing of a trademark application with the Patent Office. 3. The term of protection may, at the request of the right holder, be extended for subsequent ten-year periods in respect of all or of a part of the goods. 4. The request referred to in paragraph (3) shall be submitted before the expiration of a running protection period, however not earlier than one year before the expiration thereof. The request shall be submitted together with the payment of a due protection fee. 5. The request referred to in paragraph (3) may also be submitted, against payment of an additional fee, within six months after the expiration of a protection period. The said time limit shall be non-restorable. 6. The Patent Office shall make a decision on refusal to extend the term of protection for a trademark, where the request has been submitted after the expiration of the time limit referred to in paragraph (5) or the due fees referred to in paragraphs (4) and (5) have not been paid. According to the Court, one cannot use signs (or its elements) or similar trade marks, in its Internet domain names, if its business deals with selling the same group of products. There was no question that the mentioned above rule belongs to the fundamental socio-economic principles of the legal order of the Republic of Poland. However, in this case, such conditions were not met, bacuse all signs constituting “Euro-net” trade marks and used by Rafał Falęcki lack distinctive character, there was no risk of confusion, and there existed the exclusion of protection of signs as set out in article 156(1)(ii) of the IPL. There is one thing I wanted to add. I asked the Appellate Court in Warsaw to send me the judgment via e-mail. My request was based on the Polish Act on access to public information. On 14 June 2010 I received an e-mail from the Court. W związku z wnioskiem z dnia 11 czerwca 2010 r. o udostępnienie informacji publicznej uprzejmie informuję, że opłata za udostępnienie treści wyroku Sądu Apelacyjnego w Warszawie z dnia 16 kwietnia 2008 r. w sprawie o sygn. akt I ACa 1334/07 wraz z uzasadnieniem – zgodnie z Zarządzeniem Nr 130/09 Prezesa Sądu Apelacyjnego w Warszawie z dnia 31 lipca 2009 r. – wynosi 8 zł (1 zł za stronę) – w wersji elektronicznej. Opłatę można uiścić w kasie Sądu, znakami sądowymi lub przelewem bankowym na konto Sądu Apelacyjnego w Warszawie nr 93 1010 1010 0404 1322 3100 0000 z dopiskiem ” informacja publiczna Adm. 0137-119/10″. I was informed that according to the Decree No 130/09 of the President of the Appellate Court in Warsaw of 31 July 2009, the fee for access to the judgment – is 8 PLN (1 PLN per page) – in the electronic version. I had no time to argue so I decided to pay. However, as you may remember from my post entitled “E-access to public information, case I C 19/10“, price-lists and flat-rate charges for making the public information available, may violate the provisions of the Polish Act of 6 September 2001 on access to public information. See also “Polish case law on domain names“. Categories: Art. 15(2) API | Art. 153 IPL | Art. 156 IPL | Art. 296(2)(ii) IPL | Art. 3(1) CUC | Art. 5(2) API | Art. 7(2) API | case law | company name or firm | computer law | domain names | Internet domains law | personal rights or interests | Polish Act on Access to Public Information | Polish Act on Combating Unfair Competition | Polish Appeallate Court | Polish District Court | Polish TLDs | trade mark infringement | trade mark use | unfair competition delict. The court of first instance held that the basic relationship linking the parties was the agreement of sale of goods defined as to its kind/sort, and therefore, the ownership of the goods sold by the plaintiff to the defendant passed in the moment of their release. Therefore, the fees for marketing services and logistics were taken for actions which the defendant has taken in relation to his goods. The Court also ruled the breach of article 15(1) point 4 of the Polish Act of 16 April 1993 on Combating Unfair Competition – CUC – (in Polish: ustawa o zwalczaniu nieuczciwej konkurencji), Journal of Laws (Dziennik Ustaw) No. 47, item 211, with subsequent amendments. According to the Court the fees charged to the plaintiff limited its access to the market. If it had not give his consent, the defendant wouldn’t establish a cooperation. The Court did not found any evidence to charge fees for marketing services and for the common commercial policy. The defendant appealed and the court of second instance having some doubts decided to request the Supreme Court to answer the question whether article 18(1) point 5 of the CUC creates an independent basis to the claim by the buyer for an improperly obtained benefits. The Supreme Court in a resolution of 19 August 2009, case file III CZP 58/09, held that pursuant to article 18(1) point 5 of the CUC, the party may – regardless of other claims arising from the contract – to recover improperly obtained benefits from the collection of non-commercial premium charges for the acceptance of goods for sale. Categories: Art. 15 CUC | Art. 18 CUC | case law | Polish Act on Combating Unfair Competition | Polish Supreme Court | unfair competition delict | unfair competition law. The French company Marin’s International brought a case before the Court for the Community Trade Marks and Community Designs, located in Warsaw (in Polish: Sąd Okręgowy w Warszawie Wydział XXII Sąd Wspólnotowych Znaków Towarowych i Wzorów Przemysłowych). The issue concerned the use of CTMs Marin’s and Lama by the Polish company Display Flash Poland sp. z o.o., within its website in NOSCRIPT tag. The Court in its judgment of 25 September 2009 case file XXII GWzt 8/09, ruled that the use of someone else’s trademark in website’s metatags infringes trade mark rights of such person, and such behaviour may be also deemed as an unfair competition delict. This is way more interesting if one realizes that almost month ago Google has announced that it doesn’t use the “keywords” meta tag in web search ranking. Display Flash Poland filed an appeal complaint. The Appellate Court in Warsaw in its judgment of 14 July 2010 case file I ACa 16/10 dismissed it. The Court held that using as a keyword a word identical or similar to registered trade marks on the Internet does constitute infringement of the right of protection provided that the said act was committed without the consent of the holder and, in addition to the foregoing, the average Internet user experiences difficulty in determining whether the goods or services designated or found on the basis of a keyword are in fact assigned to the trade mark proprietor or a company commercially affiliated to it. Categories: advertising law | competition law | Directive 89/104/EEC | e-marketing | EU law | Polish Court for the Community Trade Marks and Community Designs | Polish courts | Regulation 40/94 | trade mark infringement | trademark law | unfair competition law. The District Court in Łódź, X Commercial Division in its judgment of 22 June 2004, case file X GC 1245/03 decided the first Polish domain name case in Microsoft versus Robert Rudecki. The judgment was issued in absentia. The case concerned microsoft.pl and microsoft.com.pl domain names. Categories: contract law | domain names | Internet domains law | Polish courts | Polish District Court | Polish law | Polish TLDs | trademark law | unfair competition law. The Appellate Court in Białystok in its order of 6 May 2008, case file I ACz 364/08 ruled that, the registration and use of the Internet domain name which is the same as someone else already existing domain, may be regarded as an act of unfair competition. The definition is provided in the Article 3(1) of the Polish Act of 16 April 1993 on Combating Unfair Competition – CUC – (in Polish: ustawa o zwalczaniu nieuczciwej konkurencji), Journal of Laws (Dziennik Ustaw) No 47, item 211, with subsequent amendments. Categories: Art. 15 CUC | Art. 3(1) CUC | computer law | contract law | domain names | Internet domains law | Polish Act on Combating Unfair Competition | Polish law | Polish TLDs | trademark law | unfair competition law. The Supreme Court in its order of 19 August 2009 case file III CZP 58/09 interpreted the provisions of Article 18(1) pt 5 of the Polish Act of 16 April 1993 on Combating Unfair Competition – CUC – (in Polish: ustawa o zwalczaniu nieuczciwej konkurencji), Journal of Laws (Dziennik Ustaw) No. 47, item 211, with subsequent amendments. The Court ruled that a party who has suffered fees, other than commercial margin for acceptance of goods for sale (the so-called shelves’ charges) may require return improperly received benefits in this way. Categories: Art. 18 CUC | Polish Supreme Court | unfair competition delict. First, I owe my respectable readers a short explanation what Jarzebiak is. 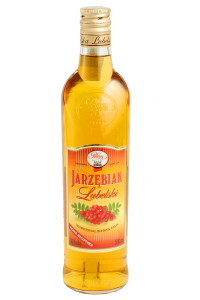 Jarzebiak is a fruit vodka made of rowan infusion with the addition of fruit distillate and wine distilate and caramel. The drink has bright bronze colour, sometimes there is light or settlements. One of the varieties of jarzebiak is “jarzebiak izdebnicki”, with the traditions of production reaching the sixteenth century. It is produced in Izdebnik (Lanckorona municipality). This dry vodka with the addition of rowan, herbs and young shoots of pine was also produced at Izdebnik’s manor of Archduke Rainer Habsburg in distillery called “Factory of Health Vodkas and Liquers” in XIX century. The “Rowan Jarzebiak Vodka” brand is one of the oldest and most recognizable quality vodkas in Poland. The Company Polmos from Sieradz made this vodka as its flagship product. In April 2006, The Company Polmos from Lublin began production of its own jarzebiak. Polmos from Sieradz sued Polmos from Lublin before the civil court, arguing that Polmos Lublin was illegally using the Jarzebiak name for its products. Polmos from Sieradz based those arguments on the fact that, in 1989, the state-owned and subsequently privatized Polmos Companies were engaged in the division of the trade mark portfolio of their State’s monopolistic predecessor. The Jarzebiak Rowan Vodka brand was acquired by Polmos from Sieradz. The Company registered this mark in the Polish Patent Office in 2007, R-204893. Polmos from Sieradz argued that Polmos Lublin committed an act of unfair competition by exploiting the reputation of the Polmos Sieradz product, at the same time damaging the Jarzebiak brand because Polmos Lublin produced less tasteful vodka with a lower alcohol content (36 percent, while that of Polmos Sieradz was 40 percent). This in consequence also allowed Polmos from Lublin to offer a cheaper product. 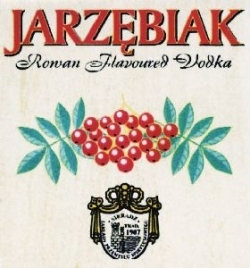 Polmos Lublin considered its competitor’s arguments unfounded, arguing that jarzebiak was a generic name that identified a type of drink: a rowan-based vodka. In Polmos Lublin’s opinion, such a term could not be monopolized by any company. The Lublin company also noted that the labels of the respective vodkas were very different and argued that customers would not be misled as to which company was a producer of ‘real’ jarzebiak vodka. The District Court and the Appellate Court agreed with Polmos from Lublin’s arguments. The Appellate Court in its judgment case file Categories: Polish Appeallate Court | Polish District Court | similarity of signs | unfair competition delict. 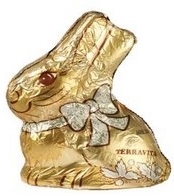 Lindt & Sprüngli requested the Polish court to prohibit Terravita from offering, marketing or storage chocolate products with a characteristic shape of a seated hare, wrapped in metail foil with clearly marked drawings of nose, bandoline, eyes, ears and tail with bow placed on the neck. Lindt also asked the court to stop the defendant using or affixing “Terravita hare” or its image in advertising and commercial documents, and an order that the defendant withdraw the “Terravita hare” from the market, requiring the defendant to destroy all packagings, packaging designs and dies, molds and other devices intended to produce and direct wrapping the “Terravita hare”. The District Court in Warsaw, the Court for the Community Trade Marks and Community Designs (in Polish: Sąd Okręgowy w Warszawie Wydział XXII Sąd Wspólnotowych Znaków Towarowych i Wzorów Przemysłowych) in its judgment of 22 September 2005 dismissed the action. The court held that the conditions set out in article 9(1)(b) of the CTMR were not met. In the court’s opinion “Goldhase”, “Lindt” and “Terravita” signs that appear on the respective products differentiated them significantly and hence there is no risk of consumer’s confusion. The average consumer of chocolate hares does not perceive the origin of the goods only on the basis of the shape of a hare, but also on the basis of other important and distinguishing elements, including the mark placed on the product, the color of the packaging, its price, the trade mark identifying the manufacturer. The average consumer sees the difference in colour of the packaging of chocolate hares, and these were different in this case. Lindt’s packaging of the hare has the color of gold, red and brown, and Terravita’s are in silver. In addition, the District Court indicated that according to article 159a(5) of the CTMR, the defendant has only the right to prohibit the use of a trade mark on the territory of the Republic of Poland. Lindt brought an appeal. The Appellate Court in Warsaw in its judgment of 6 July 2006 case file I ACa 616/07 dismissed the case. The Court held that the shape and the colour did not inform about the origin of the goods. 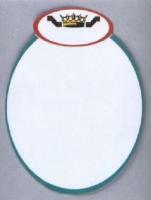 The form of a sitting hare, Easter eggs or bells do not have a distinctive characteristic. The court similarly assessed the coloring of the aluminum foil placed on chocolate hares. The colour of silver and gold are typical for chocolate products. In this case, the only distinctive elements of both products were sings “Goldhase Lindt” and “Terravita” and they were dissimilar. Accordingly there was no risk of consumers confusion as regards the orgin of goods. Lind brought a cassation complaint to the Supreme Court of the Republic of Poland. The Court, in its judgment of 13 April 2007, case file I CSK 16/07, ordered the Appellate Court to reconsider the case. The Supreme Court has interpreted the EU law, pointing to the need for a comprehensive assessment of similarity of the disputed signs. Only such an assessment would determine whether there is a risk of confusion. The Court of Appeal, after rehearing the case, changed its judgment in favour of Lindt. The court found that the Golden hare was introduced by Lindt on the Polish market in 1997 (16 pieces), and 240 pieces in 1998. On March 1999, Terravita purchased in Germany the same form as the form used by Lindt and began producing and marketing of chocolate hares. Therefore the disputed hares share the same shape and size. Both are packaged in foil – gold, or silver, both have a ribbon tied to the neck in bow but Terravita’s is printed on the foil and there is no bell. The Court of Appeal stated that the condition for the likelihood of confusion has been met. The court stressed that Lindt’s Gold hare is well known among consumers of chocolate products. Therefore, there was no doubt to believe that Lindt’s hare has a huge recognition among consumers of chocolate products, especially if its presence on the market was established for more than nine years. With regard to the Terravita silver hare the Court of Appeal held that, although the latter figure was produced using the same form as used by the Lindt, and thus both hares are having the same shape and size but additional drawings and elements preclude similarities. This time, Terravita brought a cassation complaint. The Supreme Court in its judgment of 3 October 2008, case file I CSK 96/08 held that in the circumstances of this case, there is no doubt that disputed hares are not identical and only its shape is the same, since they are manufactured from the same form. 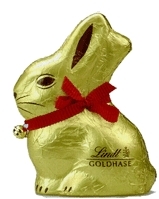 However on the foil of both hares, in a prominent place, one may find adequately put signs “Lindt Goldhase” or “Terravita”, which in fact makes the likelihood of consumer confusion practically excluded. The Court cited its earlier case law. The Supreme Court in its judgment of 1 February 2001, case file I CKN 1128/98, published at OSNC 2001, No. 9, item. 136, held that if word-figurative trade marks are used on the market then the word elements of such signs should have been attributed the distinvtice characteristics. The SC in its judgment 8 April 2003, case file IV CKN 22/01, published at OSP 2004, No. 5, item 61, held that in case of word-figurative trade marks the word element has the distinctive characteristics because it determines the ease of assimilation and the perception by the public. The Supreme Court in its judgment of 14 November 2003, case file I CK 176/02 (unpublished) excluded the risk of confusion in a situation where bottles used by the plaintiff and the defendant had the same shape (as in the facts of this case these bottles came from the same form), but were labeled with various word and images elements. In conclusion, the Court held that in the case of two identical products, one of which concerns the Community trade mark, the likelihood of confusion within the meaning of article 9(1)(b) of CTMR does not exist, if the other characteristics of goods, in particular bearing the word or image, allow them to be clearly distinguished. Categories: EU law | famous trade marks | knock-offs | likelihood of confusion | look-alikes | non-traditional trade marks | parasitic imitation | Polish Appeallate Court | Polish Court for the Community Trade Marks and Community Designs | Polish District Court | Polish Supreme Court | product packaging | Regulation 40/94 | slavish imitation | trademark law | unfair competition delict | unfair competition law | well known trade marks. The Supreme Court in its judgment of 14 October 2008 case file V CSK 162/08 interpreted the provisions of Article 13 of the Polish Act of 16 April 1993 on Combating Unfair Competition – CUC – (in Polish: ustawa o zwalczaniu nieuczciwej konkurencji), Journal of Laws (Dziennik Ustaw) No. 47, item 211, with subsequent amendments. 1. Imitating a finished product by way of technical means of reproduction, to copy an external image of such product where it may mislead customers as to the identity of the producer or product, shall be the act of unfair competition. 2. Imitating functional features of a product, in particular its make, structure and form ensuring its usefulness shall not be deemed the act of unfair competition. Where the imitation of functional features of a finished product requires including its characteristic form, which may mislead customers as to the producer or product identity, the imitator is under obligation to adequately mark the product. The SC held that an act of unfair competition within the meaning of Article 13(1) of the CUC is also based on introduction to the market by a third-party of products copied in the manner specified in that provision. Categories: Art. 13 CUC | knock-offs | look-alikes | parasitic copying | parasitic imitation | Polish Act on Combating Unfair Competition | Polish Supreme Court | slavish imitation | unfair competition delict | unfair competition law. Lego system A/S, Lego Trading A/S, Kirkbi A/S from Denmark and Lego Polska spólka z o.o. sued Polish companies “COBERT” spólka z o.o. and “COBI” for unfair competition (the delict of imitating a product) based on regulations included in article 13 of the Polish Act of 16 April 1993 on Combating Unfair Competition – CUC – (in Polish: ustawa o zwalczaniu nieuczciwej konkurencji), Journal of Laws (Dziennik Ustaw) No. 47, item 211, with subsequent amendments. Article 13.1. Imitating a finished product by way of technical means of reproduction, to copy an external image of such product where it may mislead customers as to the identity of the producer or product, shall be the act of unfair competition. 2. Imitating functional features of a product, in particular its make, structure and form ensuring its usefulness shall not be deemed the act of unfair competition. Where the imitation of functional features of a finished product requires including its characteristic form, which may mislead customers as to the producer or product identity, the imitator is under obligation adequately to mark the product. COBERT is a manufacturer of plastic bricks. These bricks are structurally compatible with LEGO’s bricks and externally; some of them are very similar to LEGO’s. There is a “Cobi” trade mark impressed on each brick. The right for protection was granted by the Polish Patent Office on 6 September 1993 (R-77743). Each packaging is printed in colour and in addition there is a clearly visible “Cobi” sign in six different places of the packaging. There is also a sign of the manufacturer, with an indication of his exact address. The court of first instance noted that colours and themes of packaging for COBERT bricks are different than those used by LEGO. Those findings were acknowledged by the court of appeal. The court also held that the average customer can not be confused as to the origin of these bricks. According to the Court, the plaintiffs did not show any evidences that would allow them to base its claims on the so-called “unnamed delict” as afforded by regulations included in Article 3(1) of the CUC. The act of unfair competition shall be the activity contrary to the law or good practices which threatens or infringes the interest of another entrepreneur or customer. LEGO filed a cassation complaint before the Polish Supreme Court in which it requested the Supreme Court to overrule the court of appeal’s jugdment and to order the court of appeal to hear the case again or to change the appealed judgment by the SC and to issue a ruling as to the facts and costs of proceedings. The SC dismissed the cassation complaint. The Court noticed that parties had provided both extensive and exhaustive arguments about the conditions leading to qualify an act as unfair competition delict. Those arguments included economic, legal, even ethical issues. However, the Court held that imitation of others’ products is not reprehensible and blameworthy per se. The progress of civilization is possible thanks to the past legacy. Therefore, the development and improvement of each product is in the public interest. The Supreme Court found that CUC regulations are designed to ensure the accuracy of the behavior and activities of business entities in conditions of free competition and access to the market on an equal footing. The Polish Supreme Court in its judgment of 11 July 2002 case file I CKN 1319/00 found that implementation of the constitutional principle of economic freedom also justifies the search for balance between market freedom and the freedom of goods circulation and the objectives of the CUC. The court found that the ban on other’s products imitation would lead to the emergence of unlimited monopoly against exploitation of technical solution (technology) and would prevent or at least hindered from entering the market for other companies engaged in the same or similar business activity. In Court’s view that was based on the principle of economic freedom and the rules of fair competition, such ban would be in contradiction with the law. The mere imitation of goods of another business, imitation of goods that are not enjoying any special protection by exclusive rights, does not conflict with the pursuit of competition and does not justify the interpretation of article 13 or 3 of the CUC that it is a delict of unfair competition, even if copies are in the same size as the original brick. As regards the packaging the SC held that comprehensive and clear indication of the manufacturer which is placed on a product packaging, and permanent placement of a trade mark on each product, which are put on the market, excludes the possibility of consumer confusion as to the identity of the manufacturer or the product. Categories: Art. 13 CUC | Art. 3(1) CUC | knock-offs | look-alikes | parasitic copying | parasitic imitation | Polish Act on Combating Unfair Competition | Polish Supreme Court | slavish imitation | unfair competition delict | unfair competition law | unnamed delict. The Polish Supreme Court in a judgment of 16 October 2004, case file CK III 580/03, published in the Jurisprudence of the Supreme Court, the Civil Chamber (in Polish: Orzecznictwo Sądu Najwyższego Izba Cywilna) of 2005/9/164/109, recognized the scope of representation for matters relating to unfair competition quite narrowly with regard to Polish patent attorneys’ profession. Fortunately, there is a judgment of the Polish Supreme Court of 13 March 2008, case file III CSK 337/07. The Court was very brief and set a clear rule in one important sentence. Patent attorney may be a representative in each case relating to unfair competition. This case was brought before the Supreme Court by Unilever Polska. The company sued Przedsiębiorstwo Produkcji Lodów “Koral”  Józef K. for unfair competition. The defendant ran an advertising lottery promoted under the slogan “million ice creams to win”, which in Unilever’s opinion breached the unfair competition law, because the advertising slogan could mislead customers as to the origin of goods in such a way that it might prompt them to unconsciously purchase the goods promoted by the opposite party. At about the same time Unilever was running a similar advertising campaign. The court of first instance rejected Unilever’s complaint. The Court of Appeal agreed with the court of lower instance and also rejected Unilever’s claim that the plaintiff cannot be represented by a patent attorney in unfair competition proceedings which do not directly concern IP rights. The Supreme Court provided detailed analysis of Article 2 of the Law on Patent Attorneys. According to the Court, extensive interpretation should be applicable, which means that it would be difficult to rationally evaluate unfair competition cases, due to their diversity, so that one can tell where a patent attorney can and cannot act as an agent. According to the Court, conducting a case against unfair competition in connection with IP matters requires full knowledge about combating unfair competition proceedings. Therefore, it would be against the law to prevent patent attorneys from being involved in all unfair competition proceedings. The Supreme Court’s arguments were also based on the fact that the Paris Convention for the Protection of Industrial Property explicitly defines IP issues in the broadest possible sense. The definition of the protection of industrial property also covers combating unfair competition. Categories: Art. 2 APAT | Art. 4 APAT | case law | Polish Act on Patent Attorneys | Polish courts | Polish law | Polish patent attorneys | Polish Supreme Court | review | trademark law | unfair competition law. The French company Interagra, seated in Paris, demanded the cease of use of the same name by an international enterprise established in Poznań by a Dutch citizen. The company was registered in 1983 in the Register of International Companies in Poznań by Barthold Asauerus van Doom, and operated on the whole Polish market. This company has also registered Interagra trade marks R-61166 and R-61280. However, long before these events, the company Interagra SA started its operation in France. Both companies operated in the field of agricultural products and food. The company Interagra from Poznań knew about the existence of the French one, because Interagra SA had established commercial links with Polish foreign trade centrals (entities that were allowed to cooperate with foreign businesses during the communism era in Poland). The Supreme Court in its judgment of 14 June 1988 case file II CR 367/87 held that in case of marking/designating of the undertaking in a way which may mislead customers in relation to its identity, any act that infringes or violates the rules of fair competition exhausts the conditions set out in Article 2 of the Act of 1926 on combating unfair competition, which is also valid for the provision of the Article 5 of the Polish Act of 16 April 1993 on Combating Unfair Competition – CUC – (in Polish: ustawa o zwalczaniu nieuczciwej konkurencji), Journal of Laws (Dziennik Ustaw) No. 47, item 211, with subsequent amendments. Categories: Art. 5 CUC | Art. 8 Paris Convention | International law | Paris Convention | Polish Act on Combating Unfair Competition | Polish Supreme Court | unfair competition delict | unfair competition law. The Act of 23 August 2007 on Combating Unfair Commercial Practices – CUCP – (in Polish: ustawa o przeciwdziałaniu nieuczciwym praktykom rynkowym) published in Journal of Laws (Dziennik Ustaw) No. 171, item 1206, came into force on 21 December 2007. It implemented the Directive 2005/29 of the European Parliament and of the Council of 11 May 2005 concerning unfair business-to-consumer commercial practices in the internal market and amending Council Directive 84/450, Directives 97/7, 98/27 and 2002/65 of the European Parliament and of the Council and Regulation 2006/2004 of the European Parliament and of the Council (“Unfair Commercial Practices Directive”). Among others things, it defines in article 5(1) misleading commercial practices as actions connected with introduction of products into the market which may lead to mistake as regards to products, its packaging, trade marks, trade names or other signs capable of identifying entrepreneurs, particularly comparative advertising. The Act also deals with crypto-advertising which is defined as using commentary content in mass-media sources to promote a product where the business/entrepreneur paid for such action but it is not clearly indicated in the content, images or sounds and it is not easily identified by the consumer. The Act also covers aggressive commercial practices. It defines such actions as (i) onerous processes which are not connected with consumers’ actions or (ii) desisting from acting, i.e. inducing the purchase of products via phone, fax, electronic mail or other means used to communicate in distance. See also “Polish regulations on prohibited contractual provisions“. Categories: advertising law | comparative advertising | competition law | consumer protection law | contract law | Directive 2005/29/EC | EU law | Polish Act on Combating Unfair Commercial Practices | unfair competition law. Hortex Holding SA Company (Hortex) filed a suit against Hortino, seeking (i) a preliminary injunction to prohibit Hortino labelling its products with its trade mark, (ii) an order that Hortino publish an apology in the press, and (iii) the return of unjustified and undeserved profits gained through the trade mark infringement. The legal dispute between Hortex and Hortino spanned two different jurisdictions. Trade mark invalidation suits are based on the administrative procedure and this case was reported in my post entitled “Trade mark law, case II GSK 63/05“. While the administrative procedure was running its course, Hortex commenced civil proceedings against Hortino. Its petition included a claim for trade mark infringement under articles 19 and 20 of the old Polish Trade Mark Act – TMA – (in Polish: Ustawa o znakach towarowych) of 31 January 1985, Journal of Laws (Dziennik Ustaw) No 5, item 15, with later amendments, repealed on 22 August 2001 by the Act of 30 June 2000 on Industrial Property Law – IPL – (in Polish: ustawa Prawo własności przemysłowej) of 30 June 2000, published in Journal of Laws (Dziennik Ustaw) of 2001 No 49, item 508, consolidated text of 13 June 2003, Journal of Laws (Dziennik Ustaw) No 119, item 1117, with later amendments, and breach of article 10 of the Polish Act of 16 April 1993 on Combating Unfair Competition – CUC – (in Polish: ustawa o zwalczaniu nieuczciwej konkurencji), Journal of Laws (Dziennik Ustaw) No. 47, item 211, with later amendments. (1) Such indication of products or services or its lack, which may mislead customers in relation to the origin, quantity, quality, components, manufacturing process, usefulness, possible application, repair, maintenance and another significant features of products or services as well as concealing the risks connected with their use, shall be the act of unfair competition. Hortex asked the court to issue a preliminary injunction against Hortino and to order Hortino to publish a specified apology in the press. Hortex also asked the court to order the reimbursement of unfounded and undeserved profits gained by means of its trade mark infringement. The Court of the First Instance acknowledged the first two claims in its judgment but did not issue any order regarding the monetary award because, in its opinion, Hortex had not proved sufficiently that any of Hortino’s profits had been obtained through the use of its similar trade mark. Both parties appealed. The appellate court varied the judgment in so far as it affected monetary damages and ordered Hortino to pay 304,000 zloty. The court based its calculations on a test of a fictional licence fee. Hortino then filed a cassation complaint before the Supreme Court, insisting that the judgment was decided in contravention of the CUC and the TMA, some procedural regulations, and even international treaties. The Supreme Court in its judgment of 10 August 2006, case file V CSK 237/06, dismissed the petition and upheld the contested judgment. Judge Tadeusz Zyznowski pointed that all courts, including the Supreme Administrative Court, had reached their decisions in a proper manner. Hortino’s actions were clearly made in bad faith and could lead many consumers to confusion about the origin of labelled and sold products. The method of establishing the quantum of profits gained by the trade mark infringer is based on the Court of Second Instance’s findings. That court ruled that the measure should be a fictional and hypothetical licence agreement’s fee that would be owed to the trade mark holder if the disputing parties were to have signed a trade mark licence agreement. In the civil proceedings, the appellate court set the fee level at 3 per cent of all profits gained by Hortino when it was selling goods bearing the disputed trade mark. The Republic of Poland is one of many European countries that, in the course of its legal history, adopted the civil law system. From the point of view of common law lawyers, it simply means that Polish courts do not follow their opinions and judgments. There are no legally binding precedents except for the Supreme Court’s legal rulings. Nonetheless, after the Supreme Court’s final judgment in the issue described above, based on the cassation procedure, one may be sure that all inferior courts will be eager to employ the methods stipulated in this instance. Categories: Art. 10 CUC | case law | company name or firm | competition law | personal rights or interests | Polish Act on Combating Unfair Competition | Polish Act on Trade marks | Polish Supreme Court | unfair competition delict | unfair competition law. The Supreme Court in its judgment of 2 January 2007 case file V CSK 311/06 held that it is contrary to good customs/practice to introduce into the market of a product that is generically equivalent to existing goods that are produced by another manufacturer, if the attraction of the attention of customers was caused by the similarity of the packages that created positive associations in the minds of customers’ of the product previously introduced. 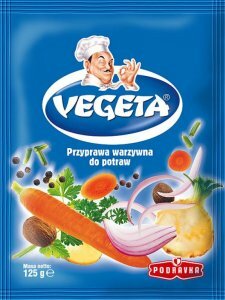 This case concerned food packaging and labels of spices that were sold under brands Kucharek and Vegeta. Categories: Art. 3(1) CUC | case law | knock-offs | look-alikes | parasitic copying | parasitic imitation | Polish Act on Combating Unfair Competition | Polish Supreme Court | slavish imitation | unfair competition delict | unnamed delict. The Supreme Court Civil Chamber in a judgment of 7 March 1997, case file II CKN 70/96, gave the interpretation on the priority of use of the designation of the undertaking as defined in article 5 of the Polish Act of 16 April 1993 on Combating Unfair Competition – CUC – (in Polish: ustawa o zwalczaniu nieuczciwej konkurencji), Journal of Laws (Dziennik Ustaw) No. 47, item 211, with later amendments. The designation of the undertaking in a way which may mislead customers in relation to its identity, due to the use of trade mark, name, emblem, letter abbreviation or another characteristic symbol already lawfully used to indicate another undertaking, shall be the act of unfair competition. The Court ruled that the priority of use – in accordance with the law – the name of the undertaking, is the only criterion for resolving conflicts between the designations, on the basis of the provisions of article 5 of the CUC. Categories: Art. 5 CUC | Polish Act on Combating Unfair Competition | Polish Supreme Court | unfair competition delict | unfair competition law. The Appellate Court in Katowice in its judgment of 29 March 2000 case file I ACa 900/99, interpreted provisions of article 13 of the Polish Act of 16 April 1993 on Combating Unfair Competition – CUC – (in Polish: ustawa o zwalczaniu nieuczciwej konkurencji), Journal of Laws (Dziennik Ustaw) No. 47, item 211, with subsequent amendments. The Court held that according to the intention of the legislator, the delicts/torts defined in article 13 of the CUC concern not imitation, in general, but only the so-called “slavish imitation” (also referred to as look-alikes, knock-offs or parasitic copying), which is based on copying the external appearance of a product by technical means of reproduction and it creates the likelihood of customer confusion as to the identity of the manufacturer or a product. Categories: Art. 13 CUC | knock-offs | look-alikes | parasitic copying | parasitic imitation | Polish Act on Combating Unfair Competition | Polish Appeallate Court | slavish imitation | unfair competition delict | unfair competition law. The Supreme Court in its judgment of 7 January 2004 case file II CK 174/02 held that the acquisition of an electronic database and selling it to customers under a different name is deemed as an act of unfair competition, as defined in Articles 3 and 13 of the Polish Act of 16 April 1993 on Combating Unfair Competition – CUC – (in Polish: ustawa o zwalczaniu nieuczciwej konkurencji), Journal of Laws (Dziennik Ustaw) No. 47, item 211, with subsequent amendments. 2. The acts of unfair competition shall be in particular: misleading designation of the company, false or deceitful indication of the geographical origin of products or services, misleading indication of products or services, infringement of the business secrecy, inducing to dissolve or to not execute the agreement, imitating products, slandering or dishonest praise, impeding access to the market and unfair or prohibited advertising and organising a system of pyramid selling. In 2001, the Republic of Poland has introduced to its legal system the Act of 27 July 2001 on Protection of Databases – APD – (in Polish: Ustawa o ochronie baz danych), published in Journal of Laws (Dziennik Ustaw) No. 128, item 1402 with subsequent amendments. Categories: Art. 13 CUC | Art. 3(1) CUC | database protection law | parasitic imitation | Polish Act on Combating Unfair Competition | Polish Act on Protection of Databases | unfair competition delict | unfair competition law. The Appellate Court in Lublin in its judgment of 27 May 1999 case file I ACa 147/99 ruled that the term “competitive activity” shall mean all actions taken in connection with participation in the market gambling, consisting in achieving maximum benefit from the sale of goods. The court also clarified the provisions of Article 13 of the Polish Act of 16 April 1993 on Combating Unfair Competition – CUC – (in Polish: ustawa o zwalczaniu nieuczciwej konkurencji), Journal of Laws (Dziennik Ustaw) No. 47, item 211, with subsequent amendments. The Court held that according to article 13 of the CUC, it is the important, that the copied outer form of the product creates the likelihood of customer confusion as to the identity of the manufacturer or a product. This situation appears only when the product becomes a commodity, that goes on the market and it’s exposed for sale to buyers. Categories: Art. 13 CUC | case law | knock-offs | look-alikes | parasitic copying | parasitic imitation | Polish Act on Combating Unfair Competition | Polish Appeallate Court | slavish imitation | unfair competition delict | unfair competition law. The Supreme Court in its judgment of 11 October 2001 case file II CKN 578/99 interpreted the provisions of Article 10(1) of the Polish Act of 16 April 1993 on Combating Unfair Competition – CUC – (in Polish: ustawa o zwalczaniu nieuczciwej konkurencji), published in Journal of Laws (Dziennik Ustaw) No. 47, item 211, with subsequent amendments. The court ruled that the act of unfair competition in the form of unauthorized imitation of packaging that belongs to another company, and the act of selling products in such packagings, may justify the tortious (delict) liability for damage in the form of lucrum cessans (profits given up), if between the unauthorized imitation and the damage exists a normal causal link/nexus. Categories: Art. 10 CUC | Art. 3(1) CUC | case law | parasitic imitation | Polish Act on Combating Unfair Competition | Polish Supreme Court | unfair competition delict | unfair competition law.